Hexlox intelligently protects your components from theft. Whether it's the wheels, saddle, seat post or stem — the steel Hexlox cap prevents the access of Allen keys, preventing thieves from taking valuable and sought-after components on the bike. 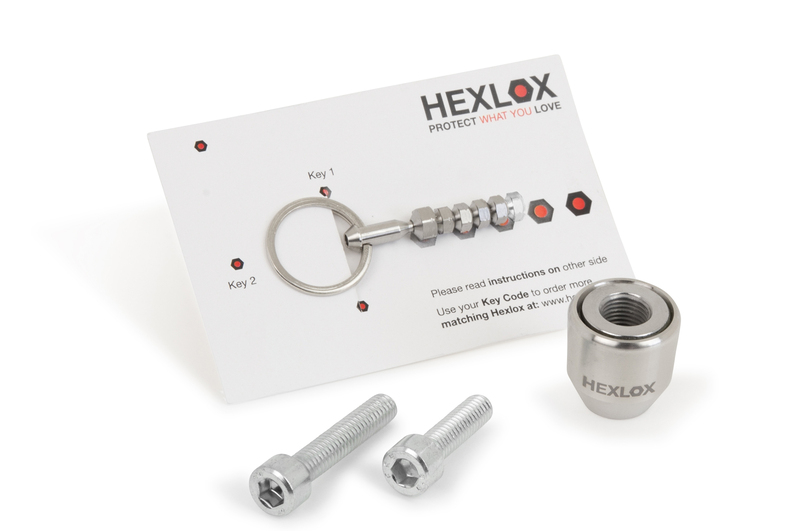 The small, coded Hexlox key removes the cap so only you can access your parts. 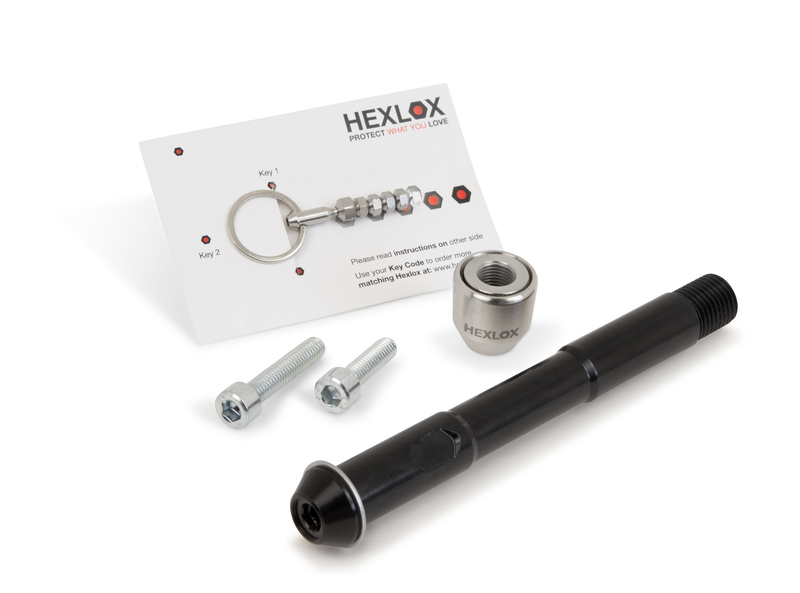 Together with Hexlox we developed a complete package, with which our bikes can be optimally secured. Note: the set is compatible with models with a 2-bolt seatpost (5mm). For Friedrich/Frieda models until 2016 you can choose the Ludwig/Lotte Set. All of which are secured by placing a Hexlox on the existing Allen bolt. 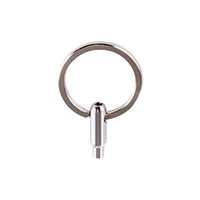 Included in the set is a Hexlox key, which releases the Hexlox from the Allen bolt. In order for it to be removed, the Key is pressed on the Hexlox and then removed from the bolt. Even a strong Neodym-Magnet can't remove the Hexlox from the bolt. Hexlox works only on steel bolts, which is why two stainless steel Allen bolts have to be replaced on our models. These bolts are included in the delivery. 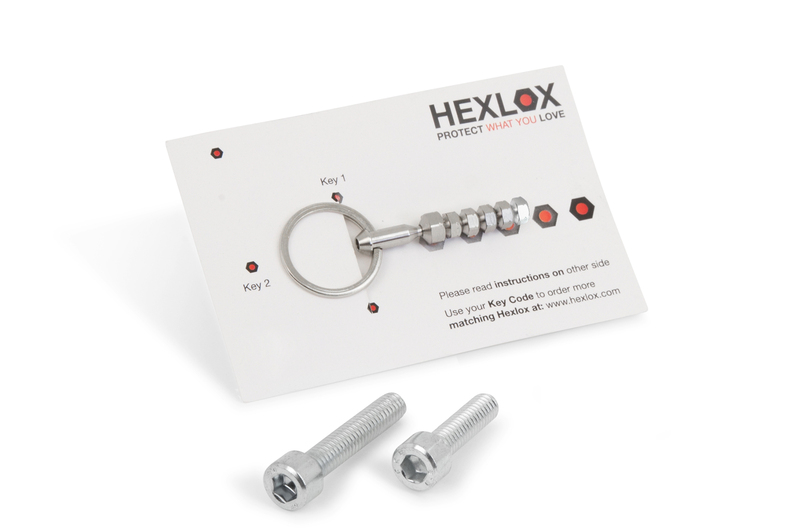 Additional Hexlox can be ordered at any time by specifying the three-digit key code when ordering at Hexlox.com. You can find the key code on the card included in the package. Six 5mm Hexlox as attachment for all 5mm Allen bolts of the above mentioned components, as well as two steel bolts to replace the stainless steel bolts on the stem (M6×30) and seat post clamp (M6×22). Five 5mm Hexlox as attachment for all 5mm Allen bolts of the above mentioned components, as well as two steel bolts to replace the stainless steel bolts on the stem (M6×30) and seat post clamp (M6×22). In addition, the rear wheel is secured with a Hex nut, which is mounted instead of a rear wheel nut and secured with a 6mm Hexlox. 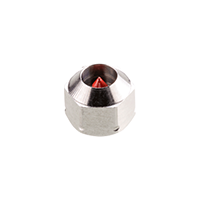 The set includes plastic protective caps for the Hex nut, preventing the ingress of dirt. Until 2016: For models without a thru-axle fork, the above mentioned set for Ludwig VIII/XI and Lotte can be used. 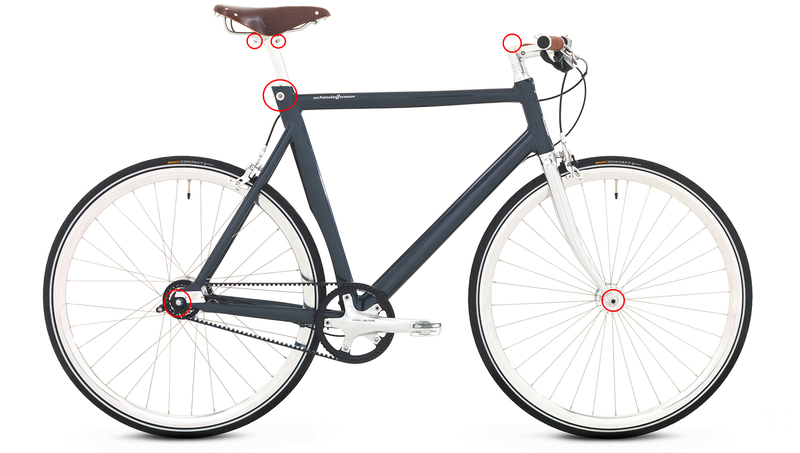 From 2017: the set contains four 5mm Hexlox as an attachment for all 5mm Allen bolts of the above mentioned components, as well as two steel bolts to replace the stainless steel bolts on the stem (M6×30) and seat post clamp (M6×22). In addition, the rear wheel is secured with a hex nut, which is mounted instead of a rear wheel nut and secured with a 6mm Hexlox. The set includes plastic protective caps for the hex nut, preventing the ingress of dirt. In order to secure the front wheel of this model, a new thru-axle with matching 6mm Hexlox is included.